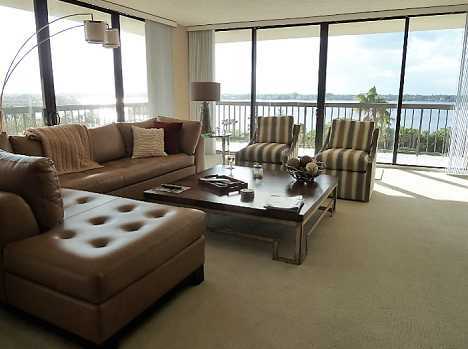 Great lifestyle in a waterfront condo in Florida. 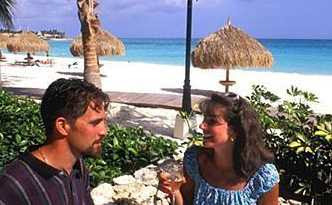 Amenities include boat docks, private beach pavilions "on the sand," nice social life. Enjoy warm, balmy beautiful days. Short walk to the beach. Imagine waterfront dining at dusk. Life is relaxing. Find a variety of interests to pursue. 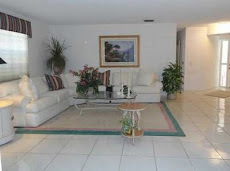 See available condo units at www.FloridaLuxuryCountryClubHomes.com. MARILYN KNOWS THE WATERFRONT, and will find you THE HOME OF YOUR DREAMS or sell your property for the highest price in the fastest time! WANT TO SEE THE US DEBT and PER CITIZEN LIABILITIES? A May 2009 increase of 0.5% in the closely watched Case-Shiller home price index indicates that the US housing recovery is seen possible now. Prices tumbled more than 32% from their peak in 2Q 2006. Case said that prices may be at the bottom now. · Preventative risk--management must be a priority going forward, according to Shiller. · In June new home sales jumped 11%, the biggest monthly gain in 8 years according the US Commerce Department. · National association of Realtors said existing home sales rose for the 3rd straight month in June. But, with unemployment and foreclosures still rising, caution was advised. Shiller said that confidence in the US financial system is crucial for an economic recovery, and can be best restored by having a clear regulatory framework for investors. He mentioned that foreign investors who were thinking about putting money in this country are feeling somewhat less assured. With sales up in all four regions of the United States, and the number of previously occupied homes sold in June being the third month in a row to go up, this kind of expansion has not been seen in almost 5 years. Sales roses 3.6% according to the National Association of Realtors. The foreclosure market is shrinking. It is meaningful that about on third of homes sold in June were foreclosure related, down from nearly half of those sold earlier this year. See the Federal Housing Finance Agency report showing home prices rose almost 1% in May. There has never been a better time to buy a home in Florida with interest rates down and home prices so much lower than in recent years. The “best buys” are starting to be snatched up now. 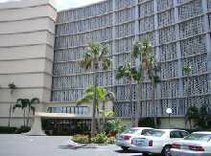 Your work can be exhibited and sold at the 4-month long Palm Beach International Airport in West Palm Beach. Those waiting for flights could keep busy with looking at the art exhibit that will be held from September 17, 2009 to December 17, 2009. The theme is “Solar Abstrations” and will feature works that explore the power and brilliance of the sun’s splendor here in Palm Beach County. Sponsored by “Art in Public Places.” Go to http://pbcgov.com/fdo/art/calls.htm or email esinger@pbcgov.org for more details. Entry deadline is August 20th. Entry fee is $10. Pick up your paint brush NOW… and GO FOR IT! $3.6MM has been awarded by County Commissioners to a contractor to widen Hypoluxo Road from four to six lands between Jog Road and Military Trail, with a proviso that it be done in no more than 270 calendar days. appointment that is convenient for you. and has a playground for the kids. 1/2 acre property on private, gated road. Boat dock for 30' boat. to end through white gates. CLICK TO VIEW FULL PAGE. Beautiful Curb Appeal. Circular decorative driveway, 12' x 10' portico, double arched pecky cypress oversize front doors, arched windows. PRETTIEST home in the area. Very Private. One gated private road - side road is one lane, one way - LIMITED TRAFFIC. Great flow for entertaining. Lots of room for the whole family. Master Bedroom upstairs for privacy. 4 Bedrooms on First Floor. UPGRADES EVERYWHERE - like NEW - MOVE RIGHT IN! Near I-95, shopping, downtown, beach and ocean. Watch fabulous sunsets from upstairs south facing Balcony off Master Bedroom. 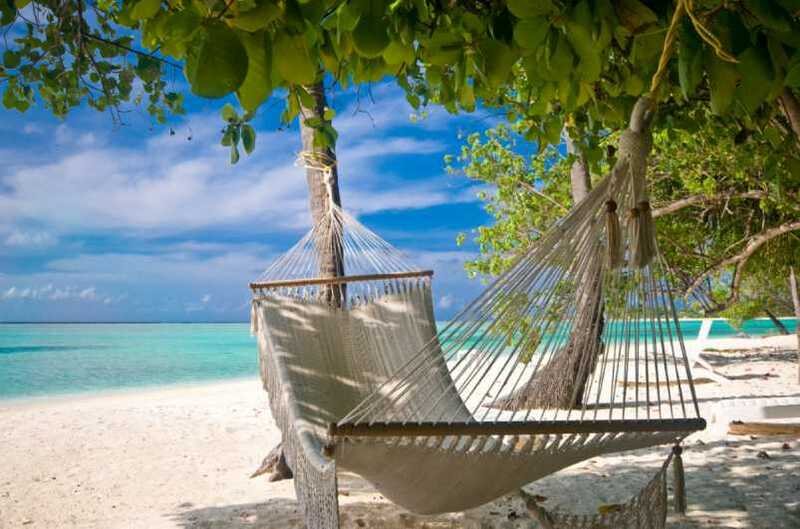 QUIET, SERENE NEIGHBORHOOD where Tropical Trees and plantings abound! THIS is FLORIDA LIVING at it's best! Be sure to click bottom link for Virtual Tour, many more photos. The last time your editor saw snow in Palm Beach County was when visiting during the winter of 1976, when snow briefly fell in Palm Beach near the water. Palm Beach County will have it’s own winter wonderland this weekend at the Palm Beach Zoo in Dreher Park, Southern Boulevard just east of I-95, for “little kids” and “big kids”. “Winter in July” will be held from 10 am to 4 pm both days. Forty… yes FORTY TONS of snow will fall. Many ice-age fossils will be on display. You can go on a fossil dig, make a fossil shark-tooth necklace, enjoy children’s entertainment, have animal encounters, visit the “sand box” to create your own cool treat, relax in the Florida Pioneer House and hear Arctic-themed stories, meet the “Snow Queen” and learn about sun safety. Go “ice-fishing” and see what prize you can reel in. Admission for adults is $12.95, Seniors 60 and up $9.95, Children 3-12 $8.95, children under 3 and zoo embers are free. The purpose is to educate children about the importance of sun safety and let them experience the wonders of winter without leaving Palm Beach County. The event is co-sponsored by South Florida Parenting Magazine and Panera Bread Company. Sun Safety materials are provided by the Skin Cancer Foundation and Armchem. Daily events at The Zoo include an interactive “Wings Over Water” show with 20 trained birds, 11-3 weekdays and 11-2 weekends This is sponsored by AirTran. The “Wild Things Show’ includes New Guinea Singing Dogs Mic and Sidney, Scooter the South Asian binturong, Xena the African pygmy hedgehog and Boris the Scarlet Macaw and a Brazilian rainbow boa. Come visit and enjoy seeing all the animals! With the overall report slightly negative for last month, if Dallas, Denver, DC, Seattle, San Francisco, Atlanta, Boston and Cleveland are showing small increase in home sales, will FLORIDA BE NEXT? According to Realty Times, “even the most bearish of researchers agree: prices are bottoming out, even in some of the hardest hit areas.” They report that detached houses resales were up 56% over a year ago, and condo sales up 30%. Sale prices, however, were down, e.g., down 38% in Phoenix. Consumer confidence is up, especially in willingness to consider “big ticket” items, such as a home. With mortgage rates still very low, this may be THE LAST BEST TIME to buy, RIGHT NOW. Keep in mind that with so many job losses every month and unemployment rates very high, touch credit and underwriting, it is not yet “happy days are here again” by any means. But how nice it is to see a start to home sales trending UP. Seeking a flight to safety for their reduced holdings, and this includes families who now have one income instead of two, many are placing funds in affordable term insurance, applications for which have climbed steadily over the years. 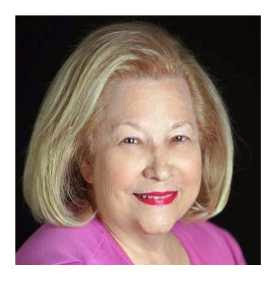 Marilyn can tell you about term policies that can be converted to cash value universal or whole life policies when you are ready to increase premiums as the economy improves. Meanwhile, your family will be protected. For example Marilyn just wrote an application for a 47 year old male, non-smoker, preferred status, for $750,000. Term is 15 years; convertible. Premium: under $72/month. Premiums will vary with age, tobacco usage and health status. It is predicted that in the future longer term policies will not be available or will be disproportionally more expensive. Fixed annuities were up 74% for 1Q09 vs. 1Q08. Life insurance applications for the age 60+ group climbed 11.3% in May-09 compared to May-08. 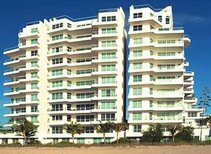 Marilyn Farber Jacobs (561-988-0070) is a Licensed Advisor / Insurance Agent with American Life & Health Group, Inc.
EMERAUDE CONDO: 2145 LIVING SQ FT, SPACIOUS ROOMS, GORGEOUS UPDATED KITCHEN...EVEN A BEAUTIFUL CABANA AT THE LARGE GORGEOUS POOL! UNDER CONTRACT IN THE ENVOY & CLOSING SOON: SPACIOUS 2 BEDROOM 2 BATH UNIT WITH OPEN AREAS, GREAT UPGRADES. GREAT LIFESTYLE! BEST VIEW OF THE NEW NICKLAUS GOLF COURSE. 2/2, 1385 LIVING SQ FT. 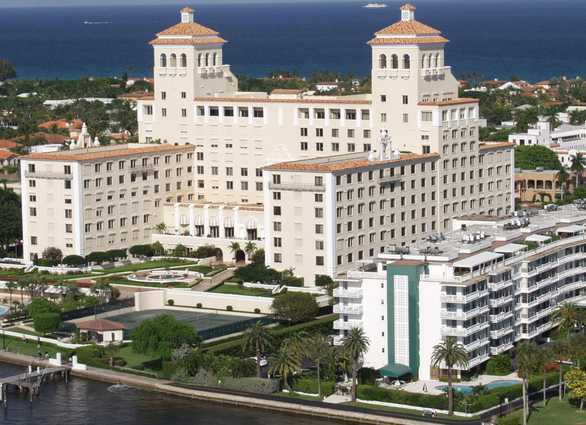 Looking for a plush well-known and admired luxury doorman Palm Beach building that offers a courtesy bus to the beach? 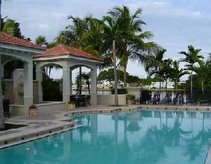 The Biltmore Complex on the Intracoastal Waterway offers a large pool, tennis, private restaurant, fitness, card room, party room, billiard room and play area for the children. Valet and assigned parking. Walk to Publix nearby – but hidden by hedges – you have to know where it is to find it! For available units email marilynfjacobs@gmail.com and mention #bedrooms, etc. TELL MARILYN what you are looking for and she will find it for you! 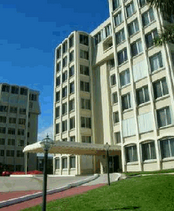 Seagate Highland is a popular complex and some units have wonderful waterfront views! 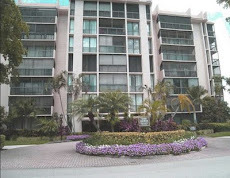 See http://www.FLWaterfrontCondos.com. You can search the MLS on this site. 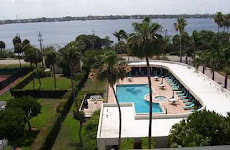 Marilyn will find you the home of your dreams anywhere in southeast Florida. When would you like to look? 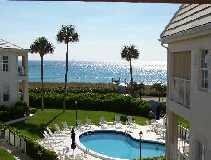 CLOISTER BEACH TOWERS - closest Boca condo to "the sand"
"To DIE FOR" views, beautiful interiors, full-service building. 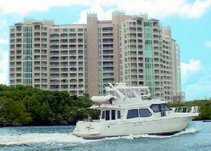 If you are looking for a waterfront condo, MARILYN KNOWS THE WATERFRONT and will find you the home of your dreams! Call Marilyn at 561-302-3388 and tell her what you are looking for or email marilynfjacobs@gmail.com. 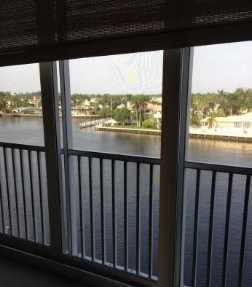 This is part of the wide intracoastal view from the living room, ocean view from wrap terrace. 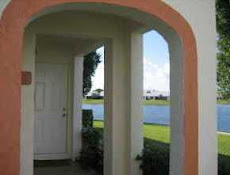 24/7 guard gated community with clubhouse and pool, stunning lake views, screened patio. 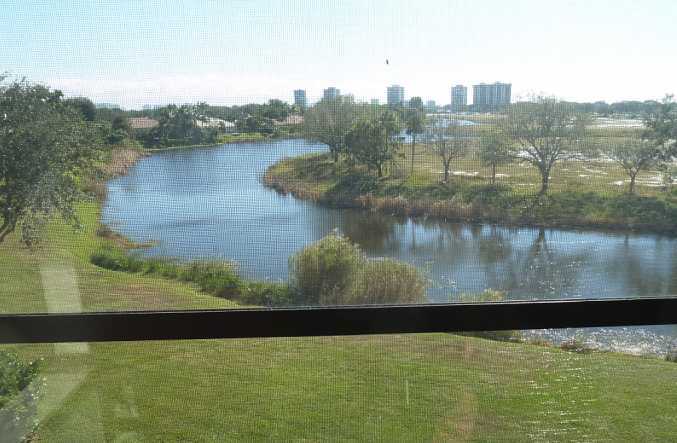 Walk right out to beautiful HIGHLAND BEACH intracoastal waterway view. Water views from living room, master bedroom, patio. They chose the VICTORIA MODEL with a panoramic long lake view. TAKE A TOUR! Looking for a beautiful all-new home? Marilyn will find it for you in The Bridges! 561-302-3388. 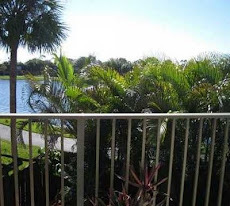 Lots of room to roam in this beautiful apartment... with all the fabulous amenities of Boca West Country Club. Mandatory dues and fees apply. 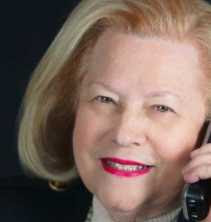 "Marilyn, We wish to take this opportunity to thank you for your most professional services in finding us a home that fills our needs and is in a comfortable gated community. fills our needs and is in a comfortable gated community. fills our needs and is in a comfortable gated community. 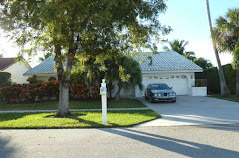 The house, having ample room with the garage, The house, having ample room with the garage, has made the move from New York City to Florida an easy transition and we wish to compliment you on understanding our needs and fulfilling them. Again, thank you!" SELLER SAYS: Marilyn, You are terrific to work with and I'll make sure everyone knows! This blog has had nearly 30,000 page views. Marilyn's blogs have had over 750,000 page views. Come visit us at 256 Worth Avenue and look thru the MLS with us! Call Marilyn at 561-302-3388 and give her your criteria. Let her know price range, # bedrooms, location (city, ocean/countryclub/active adult/ inland house condo or townhouse) and move in and move out dates. Tell your friends to call Marilyn for listings, buys and rentals. Minimum 3 months. AT THESE LOW PRICES FOR CONDOS AND HOUSES, NOW IS THE TIME FOR YOU, YOUR FAMILY AND FRIENDS TO BUY A PIECE OF THE AMERICAN DREAM, 2ND HOME, VACATION HOME OR PERMANENT RESIDENCE. Call Marilyn at 561-302-3388 and she will find THE HOME OF YOUR DREAMS. LIFE IS GOOD IN SOUTHEAST FLORIDA! If any of the properties Marilyn has sold appeal to you let her know and she will find you a similar one. If you want something different, tell her your criteria and, thanks to her market knowledge and in-depth research skills, she will find a great property for you! Lots of choices... from cottages to condos to golf homes to luxury estates to waterfront homes and condos to active adult communities to homes in A-Rated school districts... Marilyn can help you sort all this out and find you THE HOME OF YOUR DREAMS. 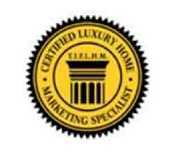 Learn from others why Marilyn is the "GO TO REALTOR" for southeast Florida. Seventeen years of listing and sales experience enhances her real estate sales abilities! Ask for copies of her testimonials. See her LinkedIn profile. You will be glad you did. Lake view from upstairs Juliet balcony with sliders from both bedrooms to balcony. 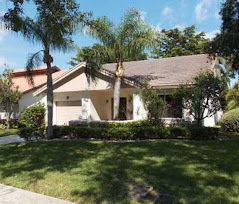 Charming home in south Boca community with pool, clubhouse, tennis, playground, and more. COUNTRY CLUB PROPERTIES Country club life is exceptional. At this site see which complexes have mandatory dues and fees, and which have none. Ask Marilyn for properties with your criteria. C'mon over and take a look - Marilyn will find you the home of your dreams. Relaxing, luxurious lifestyles with a lot of choices. Boat docks, "on the sand," gorgeous panoramic views... WOW! Walk to dozens of restaruants, Mizner Park for concerts and dining, tons of shopping. 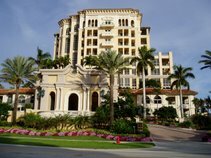 MIZNER GRAND Luxury Condos on the Grounds of the Boca Resort & Club for sale. 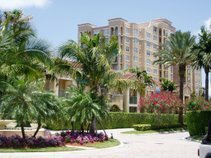 MIZNER TOWER Luxury Condos for Sale on Lake Boca. 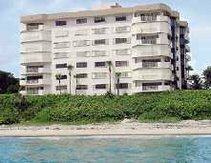 PRESIDENTIAL PLACE Luxury Oceanfront Condominiums for Sale. Listing your property with MARILYN FARBER JACOBS will cause it to SELL ! 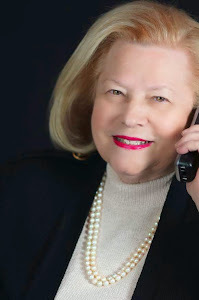 MARILYN FARBER JACOBS, Realtor, ePRO - Berger Realty Group -. CALL MARILYN FARBER JACOBS, Realtor, ePRO. 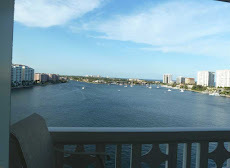 For FLORIDA MLS and to EXPLORE THE AREA at http://www.MarilynJacobs.com. 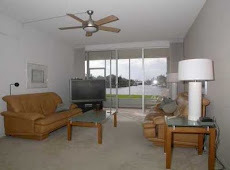 To see available waterfront condos in southeast Florida, go to http://www.FLWaterfrontCondos.com. Marilyn LOVES referrals!!! 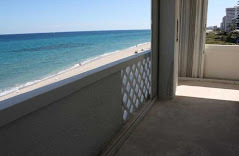 UNDER CONTRACT AFTER 14 DAYS ON MARKET - TOWNHOUSE 1 mile to beach in DELRAY BEACH - now closed! ...and finds her clients whatever kind of service they need. Marilyn can show ANY HOUSE on the MLS in Florida... and you need representation! Read here about events & plans for the area that can affect your home, finances, neighborhood & social life. LOOKING FOR A HOME WITH A BOAT DOCK? 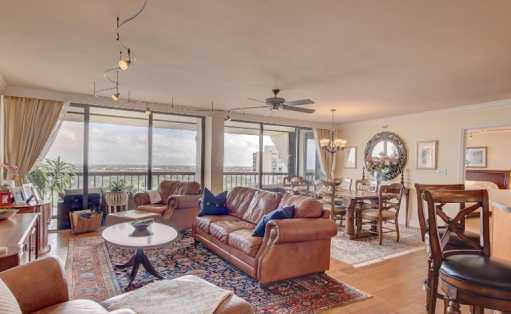 Luxurious Oceanfront Condo in Boca Raton. You can have your own private pool in your condo.